Klayman Reveals New Crimes by Comey! Go to www.FreedomWatchUSA.org to Sign Petition to Name Me Special Counsel and I Will Prosecute Comey for Mass Surveillance Cover-Up! Good afternoon, I'm Larry Klayman. 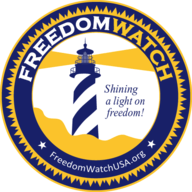 You know me as the founder of both Judicial Watch and now Freedom Watch. And I'm currently the chairman and general counsel of Freedom Watch. Over the weekend, we heard an interview on ABC with George Stephanopoulos, and I might say a very corrupt, dishonest individual who I fought. He was Clinton's communications director in the 1990s. Judge Royce Lamberth actually made a ruling that he had perjured himself, lied during a deposition. Unbelievable that he's now become a major commentator. He's really a dishonest, corrupt individual as I said. But he was the one who did the interview of James Comey, and that's no mistake, because he wanted someone who's very pro-Clinton as Stephanopoulos to interview him. And with all of what was said, and there's been much commentary on the airwaves today and I'm not going to get into that. There was something that was missing and that is that several years ago, about three years ago, I went to Comey through Judge Royce Lamberth with information that there was mass surveillance on the American people of the Chief Justice of the Supreme Court, other justices, 156 judges, yours truly, President Trump himself, and other people who challenged, or who were critical of the government, particularly under Obama. And we had a whistleblower who left as a contractor of the NSA and CIA and FBI with 47 hard drives and over 600 million pages of information, much of which was classified. I got him immunity to come forward to produce the documents and to testify. And to this day, the FBI during Comey did nothing with it, he sat on it. In fact, it now appears that what he was trying to do is to lure us in to take this information off the market, so to speak, because the FBI was engaged in illegal surveillance under Comey and before that under Robert Mueller, his friend. This is something that's not being reported. I went to the House Intelligence Committee, the Senate Intelligence Committee, and others to look into this. They wanted to keep their focus very narrow, only to what happened to Trump Tower, which was wrong, because it is likely that the FBI and these intelligence agencies have dirt on all the congressmen and senators and they're scared that if they push too hard they're going to be harmed. But as a judge ruled several years ago in the lawsuits that we brought when he preliminarily enjoined these entities, the FBI, the CIA, and the NSA under Obama of the mass surveillance, we live in an Orweillian police state, and this is very dangerous. And we've seen that just in the last few days with the illegal and unconstitutional raid on the office of President Trump's lawyer Michael Cohen. It's truly frightening the situation we live in today. It's worse than what the colonies lived in under King George III. If we don't stop this peacefully and legally, we're going to have a very violent revolution, and I don't advocate that. I advocate against that, but that's what's going to happen, because the American people are getting smart and they understand that they're living under tyranny. So go to FreedomWatchUSA.org. Contribute to our cause, because we're fighting this government tyranny day in and day out. Not just with regard to Mueller and Comey, but with others. We have cases seeking to have them brought to justice, the Clintons, Obama, George Soros, Black Lives Matter, and others. So go to FreedomWatchUSA.org. Contribute, sign up for our citizens' army, keep informed. Because we need to rise up peacefully and legally before we lose our country under this massive government tyranny. God bless you, God bless America, and God save America.